We get it, you’ve had that t-shirt forever. It’s been with you through all your ups and down—you had it on when you got the callback for being hired to your first job; you were wearing it on that day you hung out with your crush; it’s what you wiped your manly tears with when your favorite team won the championship game. It’s been your most loyal companion, and after everything you’ve put it through, it’s comfortable AF. But bro, as much as we feel you, maybe it’s time to part ways. Even beloved t-shirts have expiration dates, after all. Wear and tear are unavoidable when it comes to well-loved t-shirts so we’ll accept that tiny pinprick holes aren’t deal breakers. But holes big enough to fit your fingers through? Definitely time to bin it. Here’s one basic fashion rule we should all live by: it has to fit right. So if your t-shirt’s neckline sags against your collarbone, or it’s become especially breezy and baggy around your stomach, you should just go ahead and trash them. When you’ve got everything from condiment stains, grease spots, ballpen scribbles, and other unmentionable substances making art on your t-shirt à la Jackson Pollock, you shouldn’t just give it up for good, you should burn it in offering to the mantsa gods. Your shirts are no match to pit stains and deo residue stains. Funny how deodorants prevent sweaty armpits, but can cause underarm stains on shirts. The yellowish stains on white shirts are the worst! If your shirt has these, sorry, bro—you've got to toss it out. There must be a way to keep using your deo but protect your shirts too, right? For the shirts that you can still save, make sure you take good care of them by properly laundering them and using a proven anti-stain deo. Try NIVEA MEN Invisible for Black & White. With it, your dark clothes won’t bear that familiar white smear anymore, nor will your lighter shirts have that gross yellow stain. Specially formulated to keep you stain-free, from both perspiration AND the product itself, it's a two-pronged assault against body odor and unsightly shirt stains. Pick your products wisely and take better care of your clothes, and you might not need to say goodbye to them so soon. 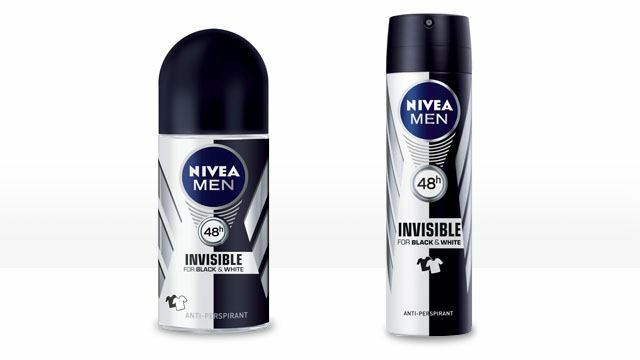 For more information about NIVEA MEN Invisible for Black and White, click here.